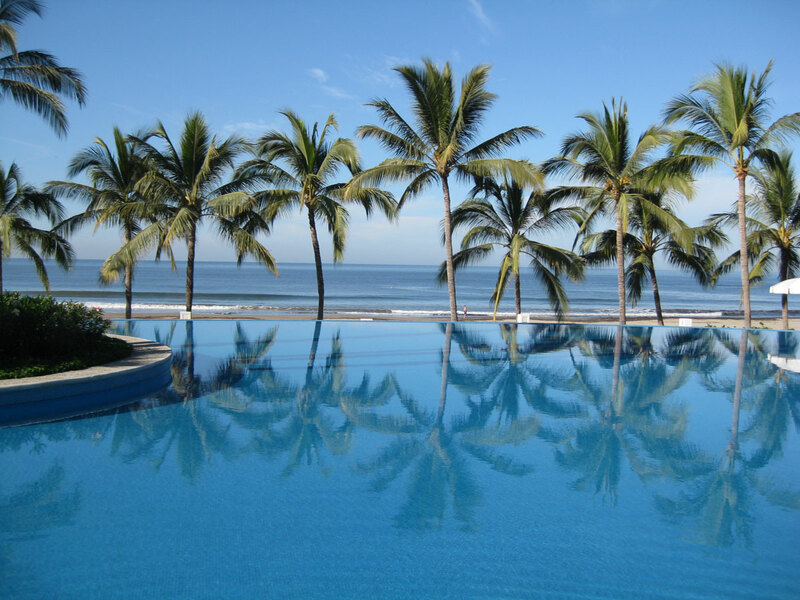 We just got back from an 8-day vacation in one of our favorite places in the world — Puerto Vallarta, Mexico. On the trip, I was able to start on my 2011 goal which is to write every day this year. Along with lots of sun, too much food, and giving my semi-fluent Spanish a good workout, I got some quality writing done thanks to a few handy-dandy iPhone apps. I use Screenplay for the iPhone since it has the ability to export a .fdx file which can be imported directly into Final Draft. While it’s relatively easy to use, the only complaint I really have is the inability to easily move around elements within a scene. Referencing the multi-column beat sheet for Before Dessert, writing scenes felt like weaving a tapestry. I can already see how much of the story is yet to be uncovered during the rewriting process. As usual, I need to remind myself that hammering out a full first draft instead of rewriting scenes as I go is a must. It’s too easy to get lost in tweaking scenes only to find out — yet again — that much of that work gets deleted or changed in future drafts. After working out some bite-size story beats while sitting in the sun, I wrote a couple TV commercials for one of my clients on the flight home. Hopefully they will be approved and shot so I can share them and the beats here. This entry was posted on Saturday, January 8th, 2011 at 3:16 pm	and tagged with Final Draft, Puerto Vallarta, Screenplay, Screenwriting, Streaks and posted in Screenwriting. You can follow any responses to this entry through the RSS 2.0 feed.